Cerner Corporation and Epic Systems have joined iPatientCare as CMS Designated Test EHR Program participants. The Office of the National Coordinator for Health Information Technology announced the two rival companies' participation April 6. The CMS program, designed to test electronic data exchange capabilities, is voluntary. Since the Test EHR Program was launched just over a year ago, more than 4,000 providers have registered to conduct tests, and more than 5,000 have successfully attested to the transition of care meaningful use core objective, ONC notes. In the past the program also included MEDITECH and McKesson. Conduct one or more successful tests with the CMS designated test EHR during the EHR reporting period via the Test EHR Program. The preferred method is for providers seeking to attest to measure No. 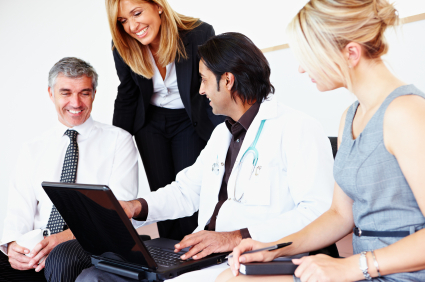 3 – the exchange of a summary of care record with a provider using an EHR from a different technology developer. The Test EHR is available as a last resort option to meet this measure if the first option cannot be met. It is also important to note that this summary of care exchange requirement can be met during anytime in the reporting year and does not have to occur within the actual reporting period, ONC said in a statement. In December 2014, CMS released an updated FAQ that offered measure No. 3 to providers who were not able to meet the MU Stage 2 transition of care objective. This could be done through either of the two options and offers the opportunity to retain and submit documentation for attestation explaining their circumstances. Additional resources are available to providers and EHR developers, including the Test EHR Randomizer Page and the ONC Test EHR page.